The gambling industry underwent a complete revolution with the arrival of the Internet. The first online casino came into existence, and that opened the floodgates for hundreds of online casinos to vie for supremacy and player appreciation. The popularity of the online casino was, in hindsight, inevitable given the numerous advantages it offers players compared to the traditional land-based casino. The main driver behind the success of an online casino is the software that powers it. The software determines the number of games on offer and a host of other features, including the live chat feature for customer support, multi-table play, the ability to track game and transaction history, and much more. So where did it all start? Who were the first software providers? We take a look at all of this and also outline some of the main software providers around today in this article. The passing of the Free Trade and Processing Zone Act in 1994 by the Government of the Caribbean island of Antigua and Barbuda. 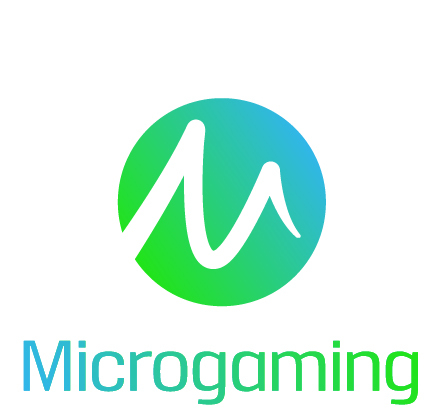 The founding of Microgaming, which is today the biggest provider of online casino software globally. The passing of the Free Trade Act by the Antigua and Barbuda government allowed it to grant licenses to operators wanting to launch online casinos from different parts of the world. This made Antigua and Barbuda the first and today one of the most popular licensing jurisdictions in the casino industry. The founding of Microgaming in 1994 led to the launching of its first online casino, Gaming Club, in 1996 (there are versions that say it launched in 1995), which ran on the Internet Casino System Version IV software suite. There have been claims from Internet Casinos, Inc., launching its first online casino in 1995, but Microgaming is considered one of the pioneers of the online casino industry. Boss Specialtidningar AB, the parent outfit of Boss Media, announced the launch of their casino software outfit. Grand Virtual launches with casino software that provided a fantastic player experience for its times. Microgaming launches Cash Splash, the first progressive jackpot. Today, it has a significantly large number of these progressives, with the Mega Moolah progressive slot starting off at $1 million. Planet Poker launches the first online poker site. US Senate tries controlling online gambling with the introduction of the Internet Gambling Prohibition Act. The bill is not passed and the move falls flat. Playtech, which is today among the elite list of casino software providers, is launched. Paradise Poker, another online poker pioneer, launches operations. Two new gambling licensing jurisdictions – Isle of Man and Gibraltar – are launched. Cryptologic is listed on NASDAQ. Alderney recognized as a gambling jurisdiction. Party Poker launches poker site. e-Commerce and Online Gambling Regulation and Assurance (eCOGRA) is founded. Playtech takes a giant step forward and is listed on the Alternative Investment Market (AIM) in London. BetOnSports CEO David Carruthers is arrested under the wire act for conducting ‘illegal’ online casino operations. The US Senate passes the Unlawful Internet Regulation Gambling Enforcement Act (UIGEA). PartyGaming and 888 withdraw operations from the USA. This is the first of a spate of withdrawals from prominent online casino operators from that market. Officially the year that mobile casino software took off big on smartphones and tablets running on the Android and iOS platforms. This year marks start of the launch of mobile-gambling specific casino software operators. Almost all online casino operators now are equipped with mobile versions of their casinos. In the early years, and for a long time beyond, the operators were not specialists in any particular online casino game type. They provided a wide range of games that worked under the one-bouquet-fits-all premise: the software ensured casino operators were guaranteed sign-ups from players playing different casino games. Microgaming and Playtech, two of the biggest names in the online casino gaming software industry, continue this trend to this day. And a lot of other casino software operators follow this path. There are operators who specialize in certain games, yes, but they generally offer the entire range of casino games. For instance, BetSoft is known for its 3D quality games, especially slots, but it also has other equally high quality games on offer. NetEnt, one of the leaders when it comes to online casino gambling software, has its own mobile software, NetEnt Touch, and you can see this with other major organizations like Microgaming and Playtech as well. However, over the years, mostly in recent times, there has arisen a batch of software providers who are specialists in a particular form of gaming. This was caused again by advancements in technology. The focus slowly began shifting from developing games exclusively for the online casino platform to newer forms and avenues of casino gaming. These initially started off with the arrival of connected television and also the social media platform. Today, there are a number of casino software providers who develop games exclusively for these platforms. A number of mobile casino software providers have only one kind of game, usually video slots. There are quite a few that have other games like blackjack, video poker, and roulette as well. There are a large number of software providers and companies that provide services that are related to the casino industry. These include payment service providers as well, some of whom now cater exclusively to the mobile casino industry. Listed here are some of the major online and mobile casino software providers and a summary of who they are.es, and free spins. Launched in 1994, Microgaming is today one of the industry leaders when it comes to online and now mobile casino software. Launched its first casino in 1996 – Gaming Club. Known for high quality graphics and animations. Has a suite of over 600 casino games in download mode. Has over 450 Flash games. Most popular games include Immortal Romance, Untamed Bengal Tiger, and the Rhyming Reels series. Also has a list of over 20 progressive jackpots, some of which, like Mega Moolah, starts at $1 million. NetEnt is another leader in the casino software development industry. More than 150 download games. Its mobile division, NetEnt Touch, develops games, mostly existing popular games, for the mobile platform. Has 15+ progressive jackpots. Has the world record for jackpot win at €17 million. Important games include Jack Hammer and Dead or Alive. Bonuses you get at NetEnt casinos include: welcome bonuses, match bonuses, no deposit bonuses, deposit bonuses, reward bonuses, free spins bonuses, etc. Playtech is another industry leader in the casino software industry. 200+ download games, 200+ Flash games. Develops the hugely popular Marvel slots and also Hollywood slots, based on superheroes from Marvel Comics and blockbusters from Hollywood. Has its own mobile division. Popular games include Spiderman, Rambo, Gladiator, and others. Bonuses available at Playtech casinos include welcome bonuses, match bonuses, no deposit bonuses, free spins, etc. This is another major player in the online casino software sector. 120+ download games, 100+ Flash games. Popular games include Ghost Ship, Regal Riches, Lucha Libre, Mermaid Queen, etc. Bonuses available include no deposit bonuses, free spins, welcome bonuses, deposit bonuses, and more. This is a leading provider of high quality 3D slots for the online casino industry. Develops high quality 3D slots for the online casino industry. More than 50 unique Flash games. Popular games include At the Copa, Heist, and Greedy Goblins. Bonuses include welcome bonuses, no deposit bonuses, and free spins. An old hand in software, it has recently acquired other software developers like Bally and WMS. Popular games include the slots developed by Bally and WMS. Bonuses include welcome bonuses, match bonuses, no deposit bonuses, free spins. Thunderkick is another new-age software provider that is rapidly gaining popularity despite its limited range of games. Popular games include Esqueleto Explosivo, Turning Totems, Birds on a Wire, and Barber Shop. Bonuses include welcome bonuses, match bonuses, free spins, no deposit bonuses, etc. This software provider currently owned by Scientific Games and originally was into development of slots for land-based casinos. Initially developed slots for land-based casinos, now into slots for online casinos. Popular games include The Sevens Game, Willy Wonka Pure Imagination, Spy vs. Spy, and more. Bonuses available include welcome bonuses, match bonuses, no deposit bonuses, and free spins. This is another new-age software provider that provides high quality games to casino operators. Most of these games are in Flash mode. More than 60 Flash games. Also develops mobile games. Popular games include Cyrus the Virus, Cazino Zeppelin, Vikings Go Wild, and Magic Mushrooms. Bonuses available include welcome bonuses, free spins, no deposit bonuses, and deposit bonuses. This is a software provider that was launched in the middle of the first decade of the 21st century. Develops high quality slots and other games that are compatible with both online and mobile platforms. Popular games include Shadow Kings, Super Bikes, Jewel Match 2, and Azteca. Bonuses available include match deposit bonuses, welcome bonuses, free spins, and no deposit bonuses. This software provider was earlier known as BetonSoft and develops exciting games for online casinos. Develops high quality slots for online and mobile platforms. 40 Flash and HTML5 games. Popular games include Trick or Treat, Lucky Leprechauns, Fistful of Dollars, and Wild Wizards. 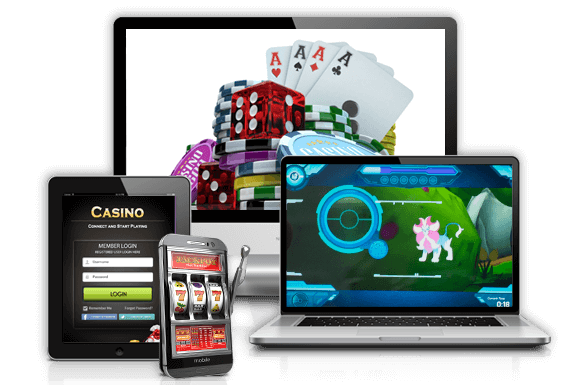 This software provider develops high quality slots for desktop and mobile platforms. Develops high quality slots for the desktop and mobile platforms. Over 90 Flash and HTML5 games. Popular games include Royal Masquerade, Easter Eggs, Happy Halloween, and Ninja Fruits. Bonuses available include no deposit bonuses, welcome bonuses, and match bonuses. Rabcat is a well-known developer of casino games with high quality graphics. Develops high quality slots for the online and mobile platform. Popular games include Castle Builder, Scary Friends, Dragon’s Myth, and Penguin Splash. Bonuses available include welcome bonuses, deposit bonuses, and no deposit bonuses. This is a well-known casino software provider that initially developed high quality games for land-based casinos before moving on to online and later mobile casino games. Develops high quality games for the land-based, online, and mobile casino platforms. Popular games include Book of Ra Deluxe, Mega Joker, and Sizzling Hot Deluxe. Bonuses available include no deposit bonuses, welcome bonuses, deposit bonuses, and free spins. This is an award-winning casino software provider owned by Nyx Interactive and develops games and poker and gaming management systems for the online casino industry. Develops quality games for the online and mobile casino industries. Popular games include Jack Beanstalk, Bingo Billions, and Jackpot Jester. Bonuses available include free spins, welcome bonuses, no deposit bonuses, and deposit bonuses. This is a casino software provider that owns the NextGen casino software brand and develops casino games and full service casino management software. Develops high quality games for the desktop and mobile platforms. Popular games include PsychoTM, Judge Dredd, Gorilla Go Wild, and An Evening with Holly Madison. Bonuses available include welcome bonuses, no deposit bonuses, free spins, and no deposit bonuses. Konami Digital Entertainment is a wholly owned subsidiary of Konami Holdings Corporation headquartered in Tokyo, Japan. This software provider develops high quality games for the land-based and online casino platforms. Develops video slots, progressive games, and also gaming platforms. Popular games include the Metal Gear series, the Castlevania series, and the Silent Hill series. Bonuses include welcome bonuses, no deposit bonuses, and deposit bonuses. This software provider develops high quality slots for the online and mobile casino platforms. Develops high quality games for the online and mobile casinos. Popular games include Taxi, Sinbad, and 7 Lucky Dwarfs. Bonuses available include a welcome bonus, match bonuses, no deposit bonuses, deposit bonuses, and free spins. This software provider has been developing high quality casino games and systems for the land-based, online, and social gaming casino markets. Popular games include Bear Mountain, Crystal Kingdom, Cyrano, and Figaro. This software provider develops casino games and gaming platforms for the desktop, mobile, and social gaming platforms. Popular games include East Wind Battle, Double Bonus Slots, Maya Wheel of Luck, and Space Robbers. Bonuses available include welcome bonuses, free spins, match bonuses, and no deposit bonuses. This cool software provider develops games for online and mobile casinos. Develops high quality games for the online and mobile platforms. Popular games include The X Factor and The Price is Right. Bonuses available include welcome bonuses, free spins, no deposit bonuses, and match bonuses. This is a new online gambling software provider that develops high quality games for the industry. Bonuses available include match bonuses, welcome bonuses, and free spins. This is a software provider that develops games and casino software for multiple casino platforms. Develops branded games based on hit shows from television. Over 55 casino games for land-based, online and mobile casinos. More than 20 progressive jackpots. Popular games include Deal or No Deal, Big Brother All Star Eviction Night, Big Brother scratch card, and The Million Pound Drop. Bonuses available include welcome bonuses, match bonuses, free spins, and no deposit bonuses. This is an online casino software provider that develops live casino games for the online and mobile casino platforms. Develops live casino games for online and mobile casinos. Popular games include Live Roulette, Live Blackjack, and Live Baccarat. Bonuses available include welcome bonuses, match bonuses, and no deposit bonuses. This is a leading UK-based casino software provider that is part of the Gauselmann Group of Germany. Provides exciting slot games for land-based, online, and mobile casinos. Popular games include Casper’s Mystery Mirror, Top Cat, Genie Jackpots, and Vikings of Fortune. Bonuses available include welcome bonuses, no deposit bonuses, match bonuses, and free spins. This software provider develops high quality video slots, progressive games, and gaming systems for land-based, online, and mobile casinos. More than 20 progressive games. Bonuses include welcome bonuses, free spins, and no deposit bonuses. This software provider develops games and products for land-based, online, and mobile casinos. Popular games include Dragon Lines and Twice the Money. Bonuses include welcome bonuses, no deposit bonuses, match bonuses, and free spins. This software provider develops high quality slots and casino games for the online and mobile casino platforms. Has expertise in developing fixed odds games, virtual sports games, and also casino games. Popular games include Gingerbread Joy, Candyland, and Lucky Stars. Bonuses available include welcome bonuses and no deposit bonuses. This casino software provider develops high quality games and gaming products and services for the global online and mobile gaming industry. Has acquired the PokerStars and Full Tilt Poker brands. Popular games include Millionaire’s Club. Bonuses available include deposit bonuses, no deposit bonuses, and free spins. This casino software provider is based in Australia and develops quality games and casino products for the land-based, online, and mobile casino industries. More than 200 Flash games. Popular games include Pompeii, Red Baron, and Miss Kitty. Acquired by Playtech, this software provider develops games for the online casino industry. Popular games include Bounty of the Beans and Full Moon Fortunes. Bonuses include no deposit bonuses, deposit bonuses, and free spins. A part of the Scientific Games group, this software provider develops games and casino products for the land-based and online casinos and is one of the earliest slots manufacturers in the world. Develops games for the online casino on the iGaming platform and the mobile platform through the Bally Mobile Platform. Popular games include Hot Shot and Tiger Treasure. Barcrest Gaming is also part of the Scientific Games group and develops games and products for the casino industry – land-based, online, and mobile. Develops games and products for the online and land-based casino platforms.